Damn you, international release schedule! I really wanted to to weigh in on the whole Cloud Atlas “yellow face” controversy that was raging at the end of 2012, but thought it best to wait until I had actually seen the film to offer comment. That just seems like common sense, even if Spike Lee clearly doesn’t agree. 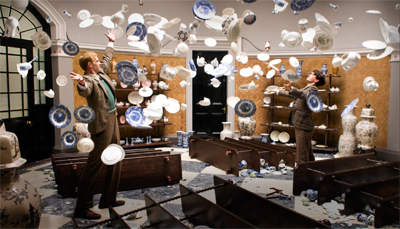 Of course, by the time that Cloud Atlas was released in the UK and Ireland, the storm in a teacup had passed, but I still think it’s worth commenting upon. 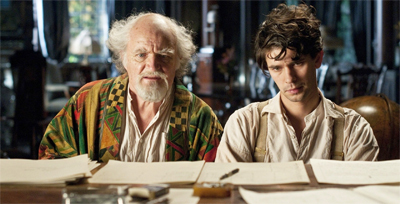 Cloud Atlas is a bold, imaginative, creative, frustrating, original, inventive, exhausting and ambitious piece of work. It’s a film that really forces the audience to collaborate, to try to force the pieces of story on the screen to fit together into a structure that is both rewarding and unique. 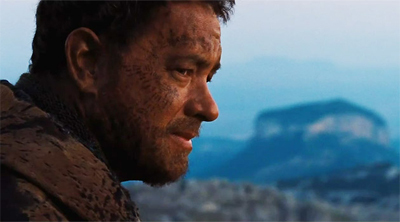 Coming out of the film – which has been dubbed “the most expensive indie movie of all time” – I was left with the impression that Cloud Atlas is a film where everybody is going to hold a slightly different perception of what the film is, and what it’s about. I can very honestly say that Cloud Atlas is quite unlike any other film I have ever seen, and that sense of experimentation and the sheer skill to force the narrative into a shape that makes some sort of sense, unique to almost each viewer, is one massive accomplishment. I’ve said it before and I’ll say it again: no more f%$#ing Abba! The Adventures of Priscilla: Queen of the Desert is one of those wonderfully fun and upbeat little movies that often can’t help but draw a smile from even the most cynical of viewers. Despite a somewhat bitchy and frothy exterior, the film is a charming little road movie about a quirky little pseudo-family unit making their way through the heartland of Australia. I remarked in my earlier review of The Matrix Reloaded that I feel I’m in the minority in regarding the final part of the trilogy as a much stronger film than the second film in the cycle. I mean, if you look at the Rotten Tomatoes score, the second film is almost regarded as highly as the first (higher among top critics), while the third is very clearly “rotten.” On the IMDb, the second film scores higher among audiences than the third. However, while neither sequel comes close to matching the impact of the original, I do have a fondness for the third over the second. 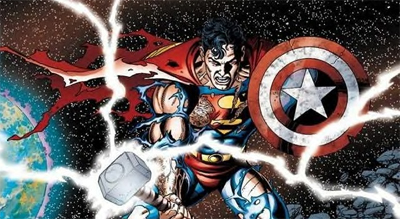 Perhaps my preference derives from the same reason many find it weaker – the fact that the only way to enjoy it is to really disengage from the underlying philosophical questions posed by the second film.